If your application calls for selective fit thrust washers Northern Industrial Manufacturing can enhance your supply chain flexibility and drastically reduce your inventory. We work with our customers on a daily basis ensuring they have the correct inventory needed to keep their assembly lines running. When there is an un-forecasted shift in the thickness required at the line, our supply chain flexibility and vertical integration allows us to react far quicker than the competition. Through innovation and supply chain enhancements, we have been able to reduce the required lead time for our finished products to less than 2 weeks; and in many cases even less. If you are in need of high quality precision shims whether in family, series or selective in nature, or you have a single part number in mind, Northern Industrial has the ability to exceed your expectation. At Northern Industrial Manufacturing we have always focused on traditional production or higher volume products. 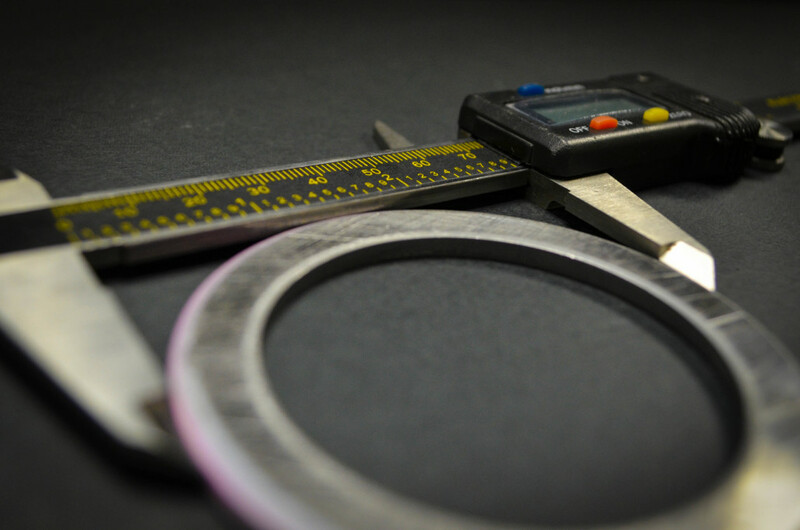 For years our customers have trusted Northern Industrial Manufacturing when it comes to the supply of their high volume production thrust washers. Many in the purchasing community consider thrust washers to be the same as a general commodity washer you could get at a hardware store. Thrust washers produced by Northern Industrial Manufacturing are predominantly used as a race that supports frictionless bearings. Because of this, there is an increased precision required when it comes to the thickness, flatness and parallelism specifications. At Northern Industrial Manufacturing our high volume thrust washers, with their precision, quality and tolerances could not be further from your conventional washer. 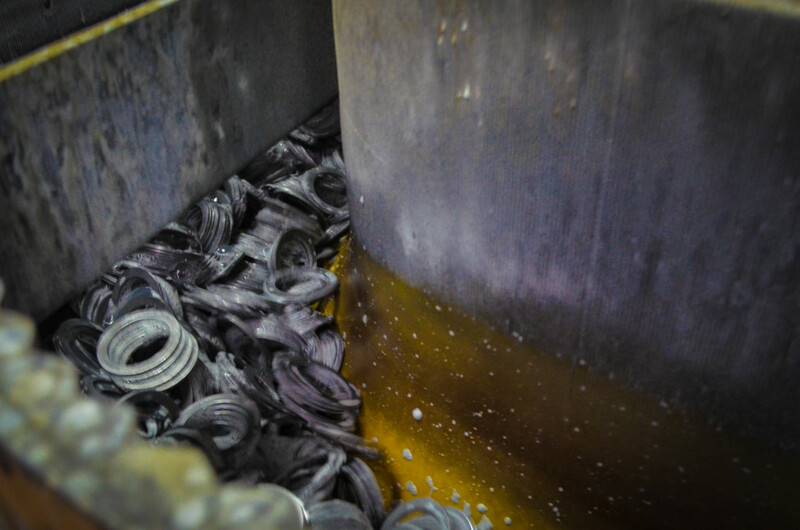 Northern Industrial thrust washers have been a trusted choice by engineers in high volume applications such as automotive transmissions, differentials, and transfer cases since 1978. If your application requires lock plates, Northern Industrial Manufacturing can supply your high volume production assembly lines. Anytime our customers incorporate the use of tapered roller bearings, other anti-friction bearings or gear sets that require axial setting, one of the primary choices for design engineers is shims. If precision is not required, Northern Industrial Manufacturing can scale back the level of precision to offer price reductions to our customers. It is at this point where customers can open up the flatness, thickness and parallelism tolerances. We at Northern Industrial Manufacturing understand that application engineers require drastically enhanced tolerances when it comes to thickness, flatness and parallelism. 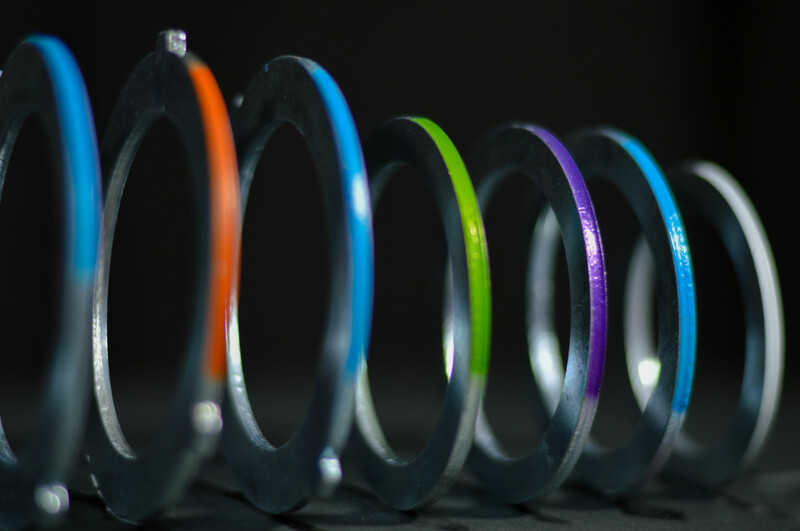 Using internally developed and vertically integrated manufacturing processes, Northern Industrial’s precision thrust washer line is second to none. If your application requires thrust plates, Northern Industrial Manufacturing can supply your high volume production assembly lines. Trust your difficult, and most precise applications to Northern Industrial Manufacturing, where our precision shim product offering can provide value to the most sophisticated operations and assembly lines. When your application calls for metal discs, Northern Industrial Manufacturing has you covered. With up to 175 ton presses, and a variety of steel options to choose from, we can be your source for high volume precision metal discs. 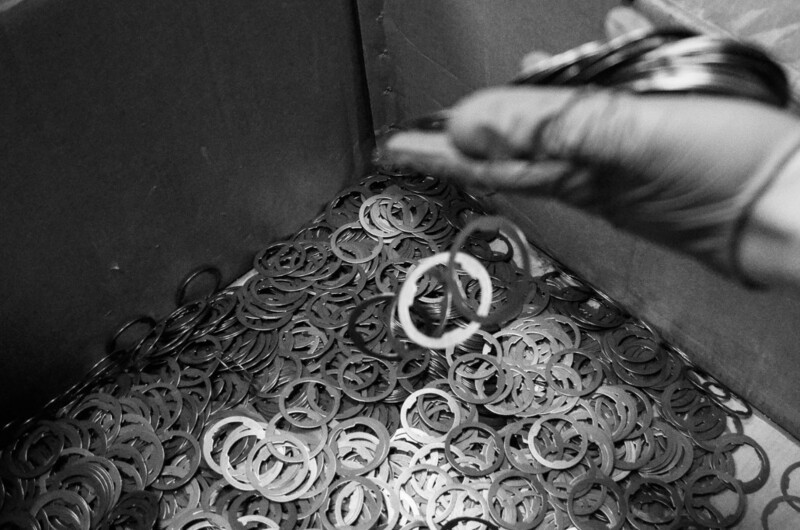 The sizes of our metal discs range from roughly 1″ (25.4 mm) all the way to 5″ (125 mm). Although traditionally our focus at Northern Industrial Manufacturing has been on our shim, spacer and thrust washer operations, we also have the ability to provide our customers with general metal stampings solutions. With presses as large as 175 tons, we are able to offer many advantages to our customers, providing a variety of shapes and sizes to support your high volume metal stamping production needs. Because of the way we have setup our supply chain we require that the parts be relatively flat coming off our press.